Padraig Harrington decided to change his game after the 1998 US Open at The Olympic Club. 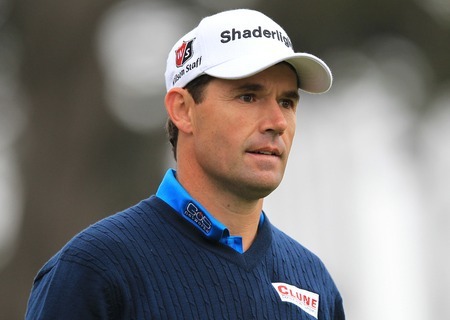 Photo Eoin Clarke/www.golffile.iePadraig Harrington returns to US Open venue that prompted him to totally transform his long game 14 years ago and take the first steps towards becoming a multiple major champion. But in an ironic twist of fate, the 40 year old Dubliner admits that he tees it up at the Olympic Club in his 15th US Open torn between the necessity to hit towering iron shots to rock hard greens or stick to the ball flight that he’ll need for the links tests of the Irish Open, the Scottish Open and the Open Championship itself over the next ninth. Assessing the qualities needed to win over the firm and fast fairways of a course that favours the fader of the ball, Harrington said: “Putter is always the first and foremost. Second, you have to get it on the fairway. Putting and off the tee, they are the keys. Harrington reckons a “straight hitter who putts well” will thrive at the Olympic Club, where he played as well as he could in his second US Open appearance in 1998 and could only finished tied for 32nd. Having suffered on his US Open debut at Congressional the previous year, then 26 year old Dubliner decided that he had to change his game if he was to compete in future majors. “I can’t remember that much about it, but it wasn’t a slog,” Harrington said of ’98. “It was real tricky. Trying to hit some of those sloping fairways was very tricky, I remember it was the catalyst as to why I stopped working with Howard Bennett and started working with Bob Torrance. “I felt like I played as good as I could that week and my short game was as good as it could be that week and I was 26 and I said right I’ve got to improve something else in order to go on and win one of these things. Harrington returns to Olympic with three majors on his mantelpiece and while he believes he has another 10 years of competitive golf left, he knows that his fate this week could depend on his putter. The flat stick has been his Achilles’ heel for the past year but having recently discovered he has been decelerating on his putts, he’s feeling better about his chances of challenging for a fourth major win. 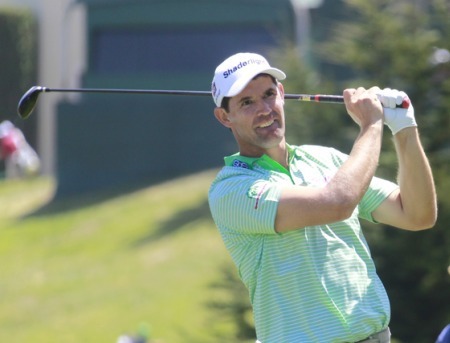 “I had my first good week putting last week in a good while and I was very happy with that,” said Harrington, who finished 13th behind Dustin Johnson in the FedEx St Jude Classic in Memphis. “I was obviously just decelerating on my putts and I didn’t realise it. “I’ve spent the last couple of years practicing birdie putts and it ain’t good. My stroke was obviously too long on the short putts so over the years I’ve always been a very good short putter and I would consider myself an average medium length putter. Harrington believes the winning score will be somewhere close to par (280) and while he found the opening six holes extremely challenging during his first practice round, he’s not pressing any panic buttons just yet. “I don’t see 270 winning,” he said. “They’re going to keep it around level par. Yes it seems difficult but practice rounds are always mayhem. You think how the hell I’m I going to get around this golf course, this is a brute. “You think in practice every time you miss a green its going to be a bogey but that’s not the case, you think every time you hit a bad chip to fifteen feet in practice that’s going to be a bogey but that’s not the case either and you make a few birdies to counteract some of those bogeys. 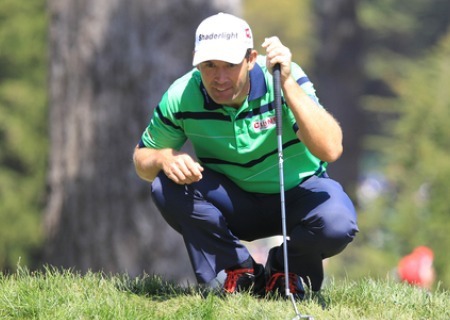 Padraig Harrington had a bad day on and around the greens at The Olympic Club. Picture Eoin Clarke/www.golffile.ieTiger Woods strode The Olympic Club like a colossus as Padraig Harrington struggled with his Achilles’ heel in the opening round of the US Open. 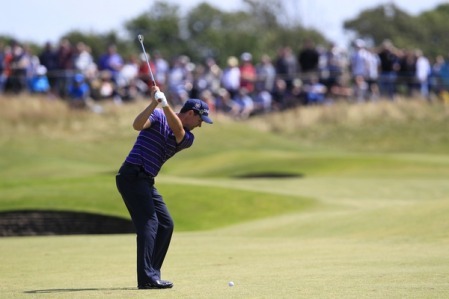 Padraig Harrington has not holed enough putts so far this week. 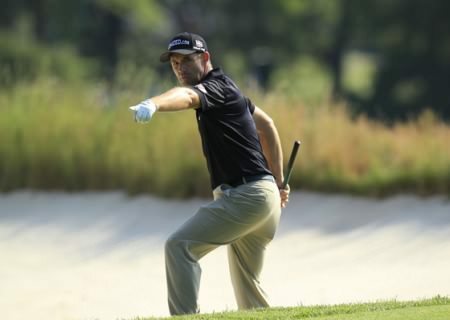 Photo Eoin Clarke/www.golffile.iePadraig Harrington was frustrated by his wedge play and his putting after a third round 71 left him six shots adrift of Graeme McDowell and Jim Furyk entering the final round of the US Open at The Olympic Club. Harrington fears Merion: "They’ll have to go easy on us"
Pádraig Harrington rakes a bunker at Merion. Picture: Eoin Clarke www.golffile.ieExperience is everything in a US Open, which is why Pádraig Harrington is a sneaky outside bet to consign his five-year major drought to history and become the third Irish winner in four years.